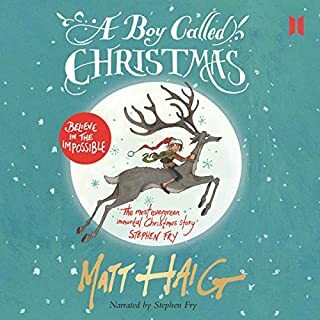 I'm not a great fan of Stephen Fry's narrations and this does nothing to change my mind. The story is ok, but quite contrived. There's no great adventure and I have been left even less likely to pick up the Matt Haig book I was given for my birthday a few years ago. A Christmas story should be magical and leave a warm happy feeling but it was all just a bit too Radio 4. 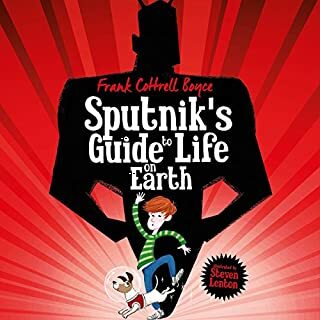 We've come to love all Frank Cottrell Boyce's books and Sputnik is no exception. The imagination that goes into them and the bending of reality is superb. We read it first at bedtime and I really couldn't do justice to the accents required so I was really glad to see a real Scot narrating it. It's possible that Robbie Coltrane could have done a better job but both are way ahead of me. The book could be described as one boy's experience of his primary carer falling victim to the onset of dementia and the very real consequences that has for him but if you then go on to say that the arrival of an alien on a mission to save our planet is thrown in it can only make your mind boggle. It's fabulous. We thoroughly recommend it. 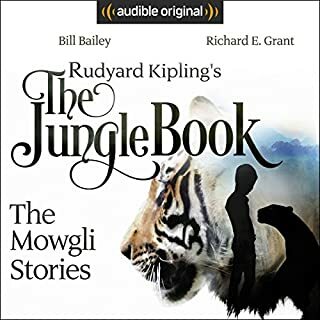 I wasn't sure my 7 year old son would cope with the language in Kipling but this dramatised version helped bridge the gap. The recording has been put together really well and the cast (including more than a few heavyweights) perform very well. It's a bit theatrical but I think this helped my son's understanding of what was going on. I would definitely recommend this recording. Yes. They might like all the exciting parts. 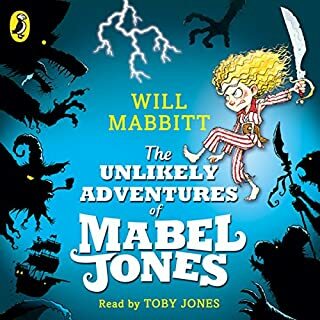 What other book might you compare The Unlikely Adventures of Mabel Jones to, and why? A bit like The Secret of Platform 13. Both have a portal that only opens very briefly, not very often. Which character – as performed by Toby Jones – was your favourite? Captain Idris Ebenezer Split and Mabel Jones. Some of the parts were funny. All the above are the opinions of my six year old son. We thoroughly enjoyed listening to this story in the car on our new journey to and from school each day. There were plenty of cliff hangers and lots of suspense and I really liked that Mabel Jones met all the adversity head on. Go Mabel! 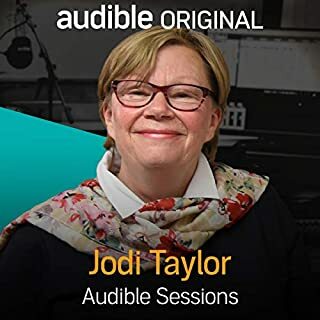 I have to praise Jodi Taylor in this interview. I thought this would be a very interesting interview and I was keen to hear what she had to say. However, the poor woman is interviewed by the tea boy. You can tell he's the tea boy because he's asking the sort of questions you come up with when your English teacher asks you to come up with some questions you'd like to ask George Orwell or Sir Winston Churchill. The difference is that Jodi Taylor is very much alive and kicking and it's a real interview not a bit of homework imagining. Jodi Taylor handles the questions with grace and dignity and deserves a medal for not getting up and walking out. Next time, Audible, please make sure you match your interviewer to your interviewee. Just a few episodes in and I already feel the need to put myself out of my misery. Sometimes Radio 4 comedies hit the spot, let's not forget that it is the stable from which The Hitchiker's Guide to the Galaxy came. However, more often than not one is treated to a bunch of BBC heavyweights given free reign but who have either ventured off piste or not ventured anywhere at all. This falls into the latter category. The two main characters are cliché executives who are so far removed from the bottom of the pile that they have no clue what a real day's work is all about and who bring the socialist in me screaming out from the depths. They are just plain abominable to their office assistant who's character is another caricature from the imagination of someone who's never had to do a day's work at the bottom of the pile. Some might say this is where the humour lies but I'm afraid I find it tedious and frustrating. What a waste of a credit. My third star probably isn't justified. When Max, Kyle, and Emma are sent to live with their reclusive grandfather, they think he's crazy, especially when he tells them about his time machine. But after Emma is kidnapped at the exact time that her grandfather predicted, Max and Kyle are forced to believe his eccentric stories - even the one about the Chronal Engine in the basement. 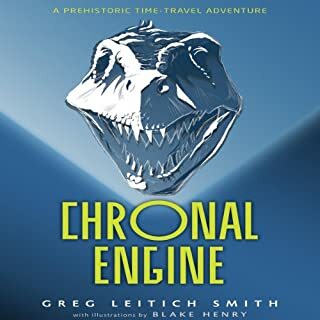 Now, to save Emma, Max, Kyle, and their new friend Petra must pile into a VW Bug, and use the Chronal Engine to take the road trip of a lifetime - right back to the Cretaceous period. This was a good time travelling story, with dinosaurs, fossils and a bit of a mystery and a few cliff hangers thrown in. Some of the reviews for the story were a bit lukewarm and hinted that the plot might be full of holes. We thought it was a lot better than that, but I did feel that the narration left a little bit to be desired, especially when compared to the quality of other narrators we've listened to. Maybe that's just the difference between American narrations and UK narrations. Don't be put off by the other reviews. Our 6 nearly 7 year old son was able to keep up with the plot and whenever we had to get out of the car for a break we were keen enough to find out what was going to happen next. What made the experience of listening to Framed the most enjoyable? The narration is spot on. If I had to pick hairs then I would say that a Valleys accent is wrong for Snowdonia, but it's still done by a real Welshman so all the words like "Legend!" just work. The details and characters have been so well written that everyone jumps out from the page. We haven't finished it yet, but we love all the observation that's gone into it. I loved the way Terrible Evans reacted in the cave (don't want to put any spoilers in here), and I love the description of Manod Wednesdays. You can't help but get involved with all the characters in the book. You feel all the highs and lows and excitement with the characters and in this respect it is particularly well written. I'm listening to this with my 6 year old son. He's really enjoying it but will probably understand more of it in a year or so. One to grow into. 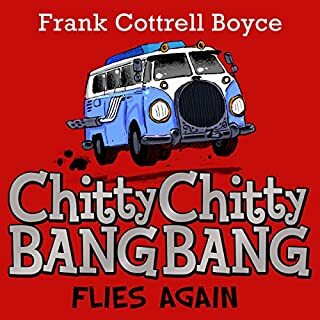 We've come to it via Frank Cottrell Boyce's sequel to Chitty Chitty Bang Bang which is a very exciting listen. I was a bit worried when I saw that there were sequels to the original Ian Fleming book but I needn't have worried. 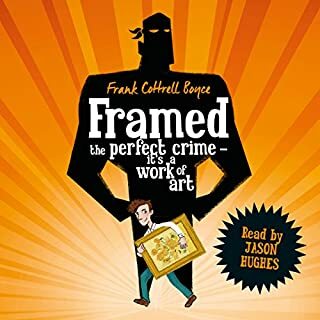 Frank Cottrell-Boyce draws a line somewhere between the original and the film and brings us bang up to date with a bit of James Bond homage thrown in. My six year old son thoroughly enjoyed it. There are plenty of cliff hangers and David Tennant's narration is great (again). 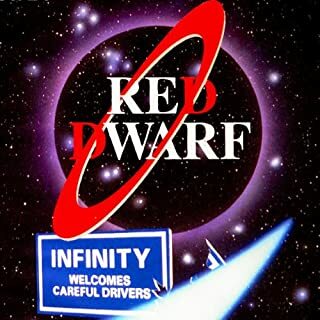 This is the talking book version of what was probably the entire first series of Red Dwarf. 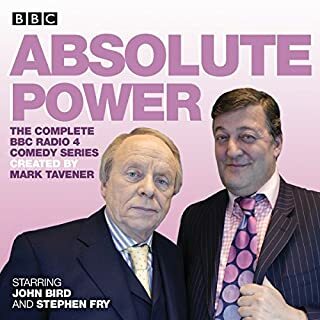 All the narration is done by Chris Barrie (Rimmer) but with astounding dexterity, he replicates the voices of the original Holly, Lister, The Cat and Kryton so you almost can't tell the difference. Even better, the humour hasn't dated so it's still very funny. A rare treat and well worth a credit. Highly recommended.